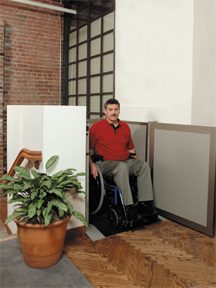 The Genesis OPAL Model vertical wheelchair lift is equipped with many standard features. Some of these features are listed below. 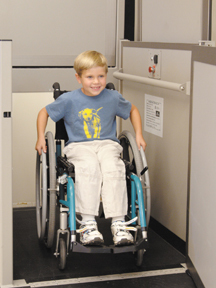 For a more extensive list of features, contact your local Garaventa Lift Representative or refer to the Genesis OPAL Design and Planning Guide . The standard call station is key-less and operates with continuous pressure rocker switches. Consist of a directional rocker switch with an emergency stop/alarm switch and is key-less. Five commercial grade waterproof safety switches will stop the platform should it encounter an obstruction.